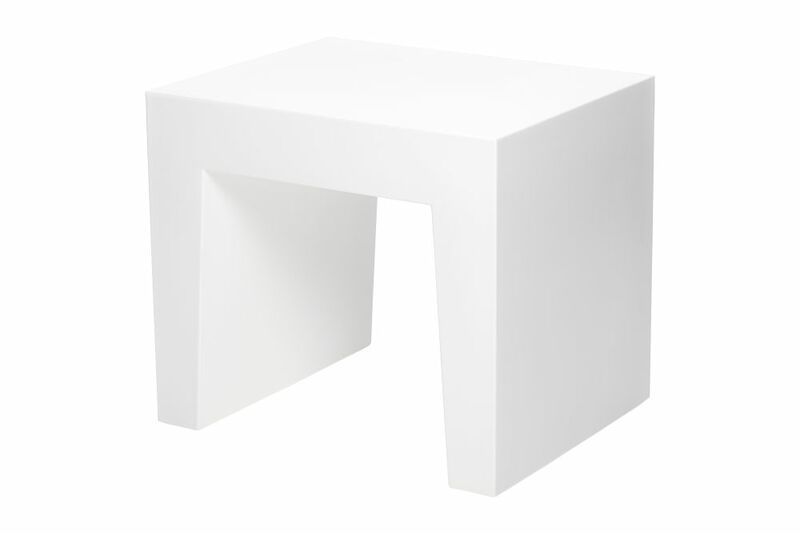 Contrary to what you would expect from its name, this stylish iconic shaped stool is a true lightweight. Inspired by the concrete building blocks often seen outdoors this stylish seat is a practical and irresistible asset to any interior and exterior. Due to its no-nonsense shape and size the Concrete Seat is applicable for multiple purposes. Use it as a stool in the living room or garden, or as a handy side table. Your ‘concrete’ comrade is as functional as they come. Of course it wouldn’t be complete without a typical Fatboy twist. Just screw off the cap at the bottom and fill her up with sand. This way you can add some weight to the occasion for extra stability and sturdiness. Mix and match one of the 5 classy coloured Concrete Seats with one of the 13 expressive pillows. Due to the extensive range of pillow designs we’re sure that you will find a combination that will rock your boat!